Variable displacement axial piston pump of YCY series with pressure compensated is designed as to distribute the oil by an oil plate and with cylinder rotating. 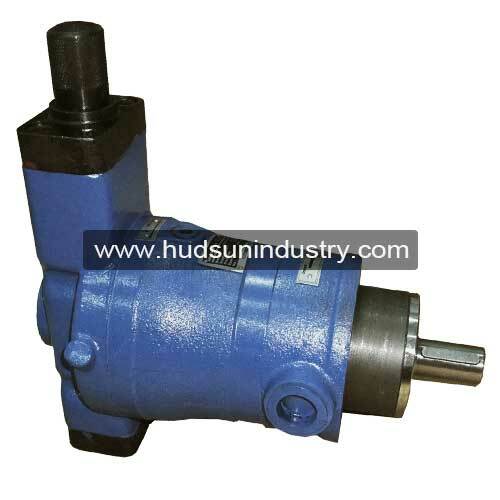 Due to hydrostatic equilibrium structures between the oil plate and pump cylinder, so compared to other types of pumps , it has a simple structure , small size, high efficiency, longer service life, light weight , strong self- priming capacity. YCY Variable displacement axial piston pump is mostly applicable to hydraulic machines, forging industry, smelting industry, engineering, mining and other machinery, and other hydraulic transmission system and it is easily to maintain, usually simply replace the pump kit, such as piston or oil plate, our company offers all the parts of the pump as sale-after service. 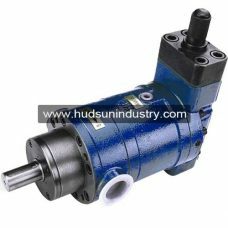 YCY Series Variable displacement axial piston pump is high pressure hydraulic compensated variable displacement oil pump, which is a form of pressure by the pump itself, automatic control. As shown above high-pressure oil flow through the channel (a), (b), (c), enter the variable shell of the Inferior Vena (d) thus through the channel (e) respectively into the channel (f) and (h). 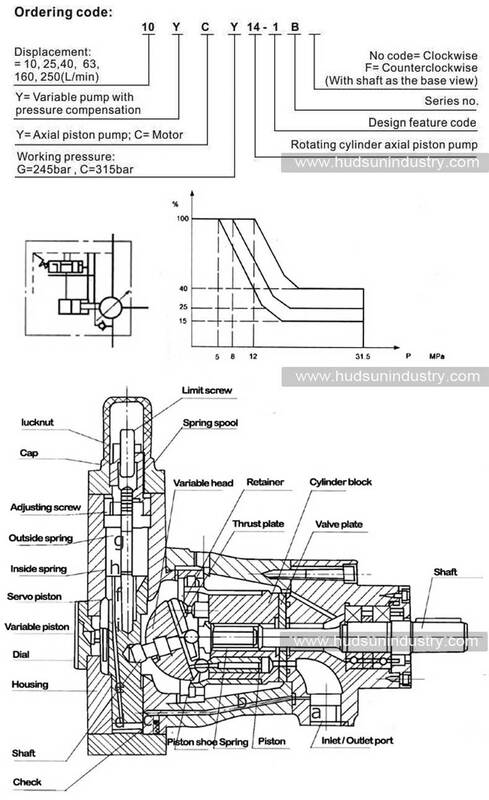 When the spring force is greater than the channel (f), into the servo piston hydraulic thrust area of the bottom ring, then oil after (h) into the cavity (g), to promote the variable piston moves down, the pump flow increased. Conversely, when the pressure of axial piston hydraulic pump overcomes the spring force, then the servo piston moving up and blocking access (h), so (g) the oil chamber by (i) the relief, this time moving piston variable pump flow decreases.